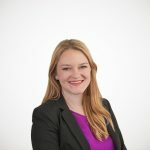 Senators Hamper and Dow, Representatives Gattine and Tipping, and distinguished members of the Joint Standing Committee on Appropriations and Financial Affairs and Joint Standing Committee on Taxation: My name is Morgan Scarboro, and I’m a policy analyst at the Tax Foundation. For those unfamiliar with us, we are a nonpartisan, nonprofit research organization that has monitored fiscal policy at all levels of government since 1937. We have produced the Facts & Figures handbook since 1941, we calculate Tax Freedom Day each year, we produce the State Business Tax Climate Index, and we have a wealth of other data, rankings, and information at our website, www.TaxFoundation.org. I’m pleased to testify today on several tax reform proposals in the state of Maine. While we take no position on legislation, I plan to share some of our research on tax policy across the country and the related economic evidence. At a current top rate of 10.15 percent, Maine has a relatively high top marginal income tax rate, both regionally and nationally. Taxation should be neutral; however, high individual income tax rates can distort decision making. There is a wealth of economic literature on individual income tax rates. In an OECD study that analyzed 21 countries, Jens Arnold (2008) found that individual and corporate income taxes are some of the most harmful for economic growth because of their tendency to disincentivize both savings (in the form of interest or dividends) and labor. Arnold et. al. also find that consumption and property taxes are among the least harmful tax types. Additionally, it’s important to recognize that many businesses are subject to the individual income tax rate. Pass-through businesses, organizations where the owner “passes on” profits through to their individual income tax returns (such as LLCs, S-Corporations, sole proprietorships, and partnerships), make up 76 percent of private businesses in the state. This means that many business owners, and particularly small business owners, in the state are subject to the individual income tax rate, not the corporate income tax rate. Note: *Count includes Corporations, S-Corporations, individual proprietorships, and partnerships. Count does not include nonprofits, government, or other noncorporate legal forms of organization. This is the most recent data available from the Census Bureau. The Tax Foundation’s Taxes and Growth model (TAG) is a tax-scoring model that evaluates the impact taxes have on the economy. The TAG model estimates the impact tax changes have on wages, jobs, cost of capital, distribution of income, federal revenue, and the overall size of the economy. This information helps members of Congress, journalists, and citizens better understand tax proposals. The model cannot produce Maine specific results, but in our book Options for Reforming America’s Tax Code, we modeled lowering marginal income tax rates across the board by 20 percent. Under a dynamic score, long-run GDP would increase by 2.1 percent and create 1.8 million new jobs. While the magnitude of these changes are not directly comparable to Maine, we estimate that the direction of increased GDP and employment would remain. Few states still have an estate tax. Maine is one of only 14 states and the District of Columbia that has an estate tax. Rates vary from 8 to 12 percent in Maine. This is in addition to the federal estate tax of 40 percent. In total, Maine filers could face estate tax rates as high as 52 percent. 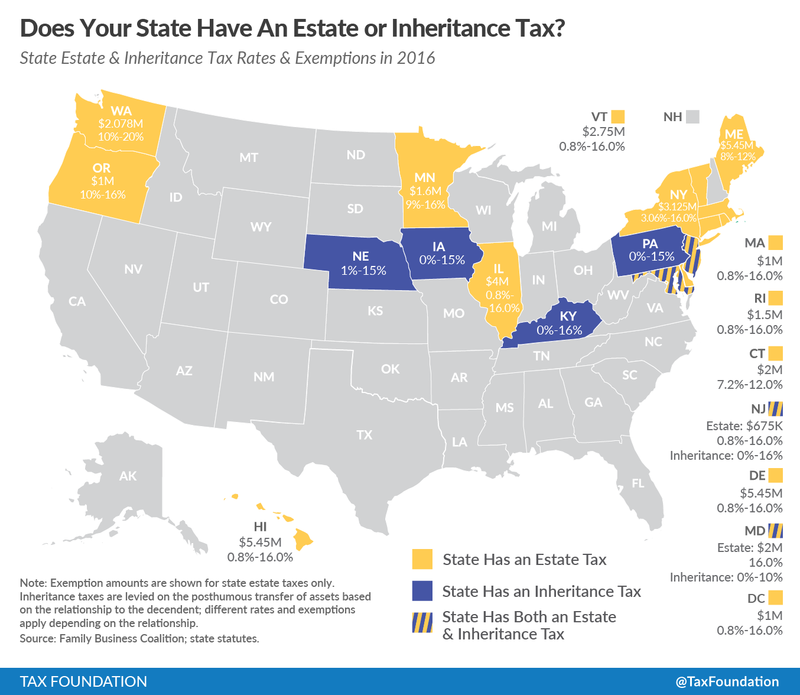 Nationwide, trends in state tax policy have pointed toward either eliminating or repealing estate and inheritance taxes. New Jersey will fully phase out its estate tax by 2018 and other states have been working to increase the size of their exemption. The estate tax can disincentivize business investment, both in terms of business equipment and land. A business owner planning for the estate tax may avoid purchasing new business equipment and keep the business smaller or opt for smaller, less costly business equipment. The estate tax can discourage families from acquiring more land or lower their willingness to pay a higher price per acre. Similar to individual income tax changes, the TAG model has produced results for a repeal of the federal estate tax. Repealing the federal estate tax would cost $240 billion over 10 years on a static basis, but after taking into account behavioral changes and macroeconomic impacts, the loss decreases to only $19 billion over 10 years. Wage rates would rise by 0.7 percent and we would see the creation of 159,000 full-time jobs. Again, these results are not directly comparable to Maine, but the trend would be similar. The estate tax harms Maine’s ranking in the Tax Foundation’s State Business Tax Climate Index. Higher scores are awarded to states that do not impose an estate tax. Note: Minnesota’s 2017 exemption level is $1.8 million. Though the public and policymakers often focus largely on tax rates, there are two components of every tax: the rate and the tax base. The tax base should be an important consideration, particularly in the discussion about sales taxes. States are facing an alarming trend: the sales tax base is shrinking, reducing sales tax revenues. This is largely because states do not tax personal services. The exclusion of services from the sales tax is somewhat of a historical accident. Mississippi was the first state to create a state sales tax in 1930; however, if you consider Mississippi’s economy in 1930, it was comprised mostly of goods and no notable service sector. As other states started to adopt sales taxes, they largely copied the language of Mississippi. Today, however, most states’ economies are comprised more heavily of services than goods, meaning sales taxes are missing a large portion of consumer consumption. A shrinking sales tax base means tax rates have to be raised in order to generate the same amount of revenue. Expanding the sales tax base to include all final consumer goods and services is the proper tax treatment. Though Governor LePage’s budget proposal does not bide down the sales tax rate, it does use the base expansion to replace the revenue from some other tax cuts. Finally, Maine also has a relatively high corporate tax rate with a top rate of 8.93 percent. High corporate rates can deter the formation of new businesses within a state. Within the debate about business taxes, it’s important to recognize that businesses pay more than just corporate income taxes. According to “Total state and local business taxes,” a study from the Council on State Taxation and Ernst & Young, Maine businesses in fiscal year 2015 paid $3.2 billion in state and local taxes. Just $0.2 billion of that was in corporate income taxes; the rest was in property taxes ($1.8 billion), sales taxes ($0.5 billion), excise taxes ($0.3 billion), unemployment insurance taxes ($0.2 billion), individual income taxes on business income ($0.1 billion), and licenses and other taxes ($0.2 billion). This is an important framework to keep in mind through the conversation on business taxes. Currently, Maine is ranked 30th in the Tax Foundation’s State Business Tax Climate Index. That rank uses data from 2016 and does not include the new 3% individual income surtax. When the 101.15% top rate is included in next year’s edition, Maine’s ranking will fall. The Index measures 114 variables to score a state’s tax structure. Currently, Maine gets penalized on its ranking in large part due to its poor corporate, unemployment insurance, and property tax structures. Under the plan to adopt a flat income tax of 5.75 percent, lower the corporate tax rate to 8.33 percent, expand the sales tax, and eliminate the estate tax, Maine would rise to 17th in the country in the Index. Maine residents pay 10.2 percent of their personal income in state and local taxes, ranking 13th in the country. Tax reform is needed in the state. The current proposals follow sound principles of tax policy: neutrality and simplicity. Reforming the tax code in Maine will make the state more economically competitive on both a regional and national scale. Thank you for your consideration, and I am happy to stand for questions at the appropriate time.